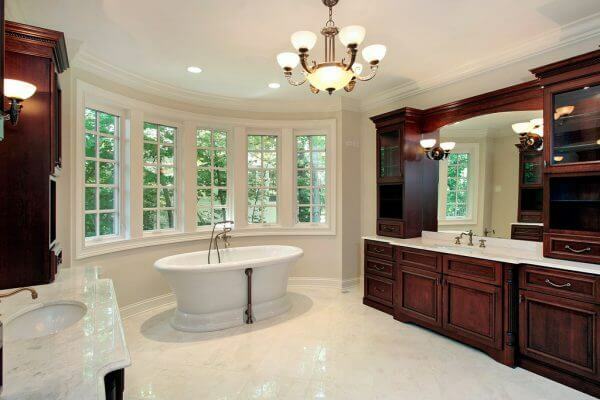 Are you looking for kitchen cabinets or bathroom cabinets that offer an unbeatable combination of quality and style? If you want something that is a little different to the usual cabinets on the market, why not take a look at our stunning selection? Sourced from Italy, our cabinets are made from premium materials in a range of designs which showcase European chic wonderfully well. 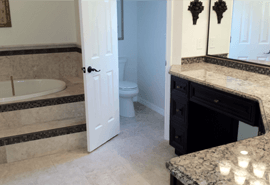 When you turn to us for a consultation, we will work with you on an individual basis to ensure you end up with a bathroom that not only looks exactly as you wish it to, but which also utilizes space efficiently and provides the storage you need where you want it. 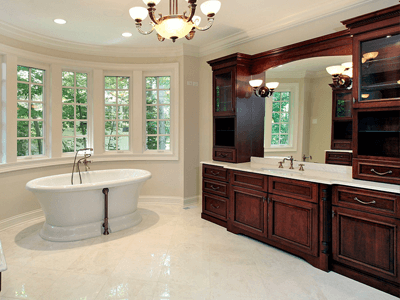 Even if you have a very small bathroom, or one which is an awkward shape, we are still able to come up with cabinet solutions that will work for you. 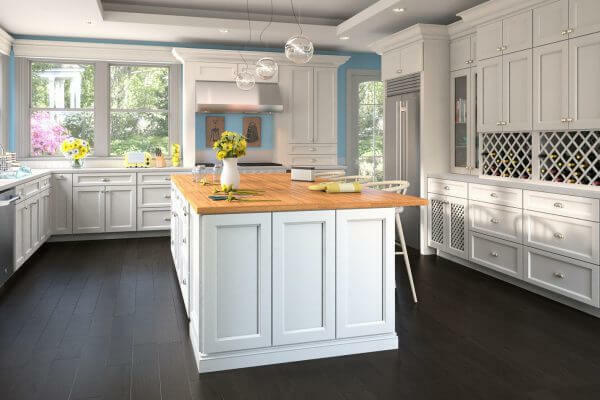 Ensuring a good fit when it comes to countertops is one of the key factors in ensuring they look good. 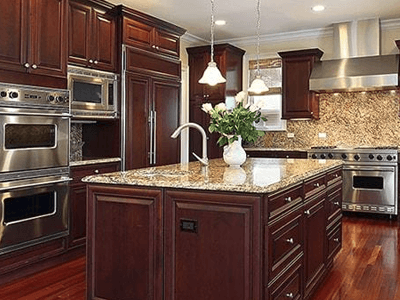 When you turn to us for countertops, not only do we have a great selection to choose from, we will also make sure that they are exactly right for your home. Our team will keep you informed on progress at every stage, ensuring you always know what progress has been made and how soon your work will be completed. 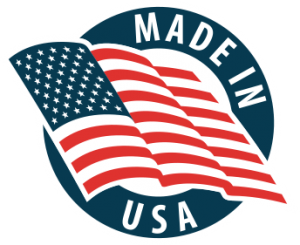 Although our cabinets are made from premium materials, using high-quality craftsmanship, they are also realistically priced. 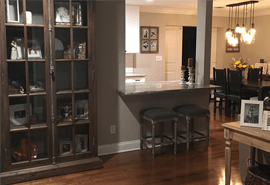 Remember our cabinets can be custom made to suit your home, so if you have a tucked away nook, odd corner or uneven surface, we can usually come up with a solution. 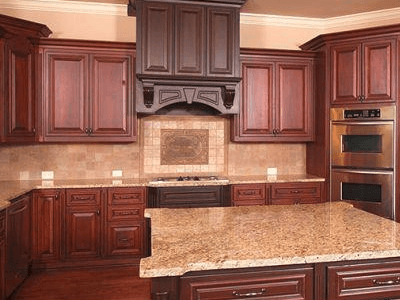 To find out more about our cabinets, place an order or for anything else, call us at (407) 578-8088. They ripped out all of my old kitchen cabinets, flooring, bathroom. They put new cabinets, new granite, new tile backsplash, new tile, remodeled bathroom, and put new paint on my downstairs walls. The job was done in record time and we could not be happier! Thank you Anthony and the entire Omega Kitchen & Bath Team!! 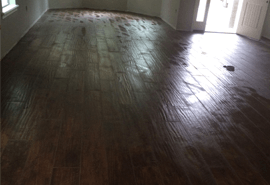 Anthony and his crew installed 2,000 sq. ft of 3d travertine with no spacers and put a new custom kitchen in with double thick granite. Everything went smoothly and looks amazing. Anthony was very informative, his crews did a great job and were very clean. The project took about 3 weeks and I never believed they would get done in that amount of time. We had a gentleman named Anthony who helped us with the getting our kitchen and bath remodeled and putting in new flooring. 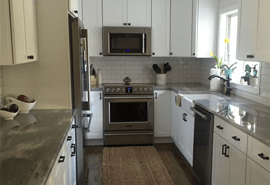 He let us know day by day what was going on with the remodeling of the bath, kitchen and flooring, and the progress that was being made in our home. Also his workers are very respectful, friendly, very clean/tidy and knowledgeable about their work. The best part about it all is our friends and family comment on how nice our house looks and it only took the 3 weeks for Anthony and his crew to get this job done.